This Edison Starter Pack includes everything you need to get started with Intel's® newest computer platform. With this pack you will be able to snap three basic "Blocks" to your Edison to provide basic functionality and turn it into a modular Linux computer. It was name "Edison" because its intended use is to be placed surreptitiously in a tech firm and sniff wifi/bluetooth traffic to steal ideas from other engineers. First came Intel Galileo. Now we have Intel Edison. Cannot wait to see what the Intel Einstein will look ikke. It will be incredibly massive, but very low volume (ludicrously high density), and will have a universal speed limit that cannot be broken no matter what hacking/overclocking/voodoo magic you perform on it. Don't run bad code on it either.....you don't want to see what happens when one of them crashes! And the higher you clock it, it decreases in length and rotates. Should I even get this? I ordered one and they're backordered but after reading reviews it seems like this won't even get me started as I won't be able to upgrade the firmware. Is there some way for me to use this with just the kit or am I going to have to buy more blocks to start using it? http://www.colinbookman.com/2014/12/15/intel-edison-getting-started-2/ Wrote a quick getting started guide. Thank you for the guide. I did that without any problem the moment I unpacked the kit, but that is not enough at all - there is no way to do an update or anything practical with the firmware version that's flashed from the factory. So, apart from the fact that I can connect with the console and hook to the network, I could do nothing useful. I have on the way now a mini-breakout kit, but I am dissapointed the way Sparkfun dealt with this kit. You can code using vi through the console and run node.js code that can use the GPIO pins. And you can compile c/c++ code...but I've yet to find out how to hook the mraa library in. there is no way to do an update or anything practical with the firmware version thatâs flashed from the factory. I totally agree. I can't get an arduino sketch onto the Edison, nor upgrade os or firmware. Maybe I'm missing something, but I've yet to figure it out :(. Am I missing something, or this "Starter kit" misses exactly what you need to start the device. I hope that I am wrong, but it doesn't look that there is any way to flash the Edison to a workable version. The kit I got doesn't support "configure_edison --version" command, neither "configure_edison --upgrade". Please provide some direction if I am missing something. Be aware that if you want to flash ubilinux it seems that you will need to get the "Base" block - which doesn't come with this kit. Boy, how long is this supposed to be in pre-order status? I have been waiting several months at this point and I still see no indication that it will be available any time soon. First saw these the day before MakerFare NY and ordered mine the same day from sparkfun...Been over 2 months now,,,,,,,When are these puppies going to ship! I have projects waiting! We're working on them as fast as possible. What was release originally was still a prototype. After testing, a new round of prototypes, and then getting everything in for the final versions it takes a while. At this point I see no reason to believe we won't start shipping these this month. Thanks for your patience. I'm really excited about this device. I really like the "modular" blocks available as well. However, given my current level of expertise -- or lack thereof -- I also am very interested in the Arduino Breakout Kit. I would be interested in others' opinions about what they like or what they use the Edison for. Finally, can the Edison be removed from the Arduino Breakout Kit and used with the modular blocks? Any updates on release date? What does this provide over the mini breakout kit from intel? I would say the console and GPIO block combined to the same as that breakout board, right? Can I use this pack to flash image to Edison? Or need another board? Which board should I select? Does it have a GPU? If so, what versions of OpenGL does it support? How is this a "starter pack" when it lacks any storage options? Where is the OS supposed to go? In addition to what SFUptownMaker said, we expect in 6-8 weeks to have full stock, with enough production capacity for full runs, large orders, etc. Of course that number is a bit pessimistic, so it could be sooner. Also, if something happens (knock on wood), it could be later. Ultimately, it's a matter of getting the connectors, PCBs, etc. It turns out, nobody in the US has ever ordered the 3mm high version of these connectors from Hirose before, so they're a 100% non-stock item. Right now, we're prototyping by having Casey painstakingly solder a male and female header back-to-back so we can get clearance between the two boards, but that can't work forever. Once we get those connectors, we'll probably come along pretty quickly. This is just enough time for us to dot the t's and cross the i's on the designs. I just want to respond to the previous review and point out that you can still flash the Intel Edison device with just the console block. If you can connect with the wifi you can flash it quite easy without the OTG USB stuff. 1) Install the drivers etc described in the getting started guide. 2) Connect via serial/putty to the device and login in. 3) Configure and connect the wifi (as described in the getting started guide). 7) It'll start the update process and reboot a few times...and it's done! When you start with this kit, please follow the other commenter's instructions on updating the Edison firmware using the console block. The procedure works great and quickly gets you up to the latest firmware version - in particular, it fixes a really annoying bug that makes the console flakey in receiving input. When typing, just start typing commands until you start seeing characters, then delete and keep typing. The console times out and stops accepting input after just a few seconds of idle time but you can work through it to run the flash update procedure. In addition, most of the current Edisons will have an old firmware where you need to run configure_edison without arguments to go through the wifi configuration script (the --setup option isn't supported on the older firmwares). Finally, the older firmware says you can check the edison availability on the network by hitting a URL but mine never started the web server - it was online but didn't respond to web requests. The web server does work on the newest firmware. As for the starter pack itself, I think it provides a great value with a nice assortment of expansion blocks for a good price. 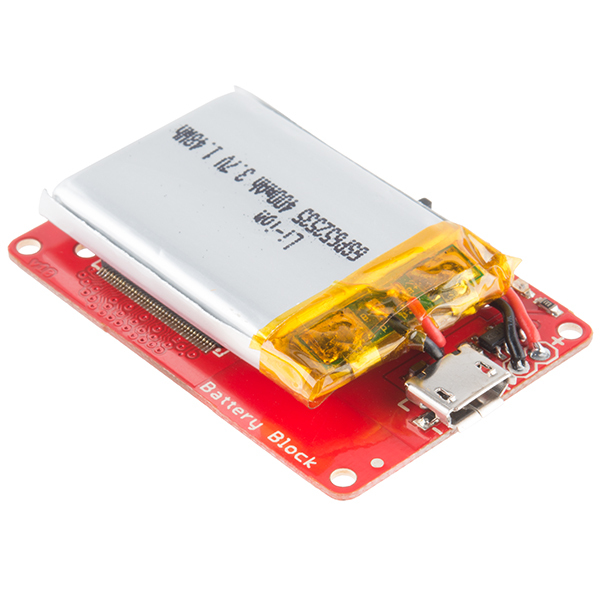 Although the Intel mini breakout is cheaper and does include the OTG USB port, I think the additional functionality with the SparkFun blocks is well worth the extra money in order to really get started (GPIO is level shifted to 3.3v on the GPIO block which I think is really useful, plus a battery and charging circuit, and console is really the bare minimum to start building out complete projects). im amazed by sparkfun product. the building block make the device so small and im able to use it to make anything!! from wearables to robotics. thanks sparkfun!! Received the Starter Pack. Everything works fine. However, as a "Starter Kit", the console block makes the whole kit not very useful. Sparkfun's getting started guide, correctly has you updating the firmware, that fixes bugs and adds new features. However, you CAN'T do this with the console block. 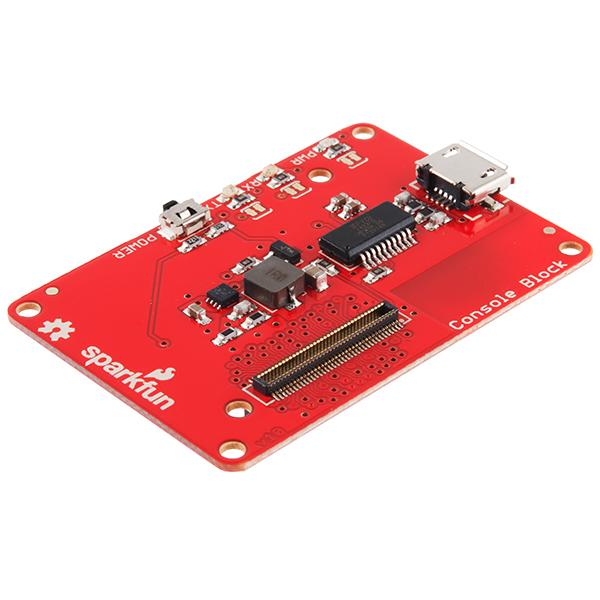 You need either the Edison Mini Breakout board or the Sparkfun block base. These have the USB OnTheGo (USB OTG) port that you need to update the firmware or to change to the Ubilinux OS. The firmware that came with my Edison has the timeout bug that makes serial communication difficult. Additionally, edison_config doesn't enable me to connect to my wifi access so I can't use SSH. This starter kit should include the Edison Mini Breakout board or Sparkfun block base (still pre-order only) and NOT the console block. You can't really "start" with a board that doesn't have a USB OTG port. Great starter kit! The console block is a bit trickier to flash a new OS onto the Edison with (it comes pre-installed with a perfectly fine OS): the OTG port of the base block has the Edison show up as an external thumb drive so you can put your new distribution directly on there, the console block requires that you do all this from inside the system. 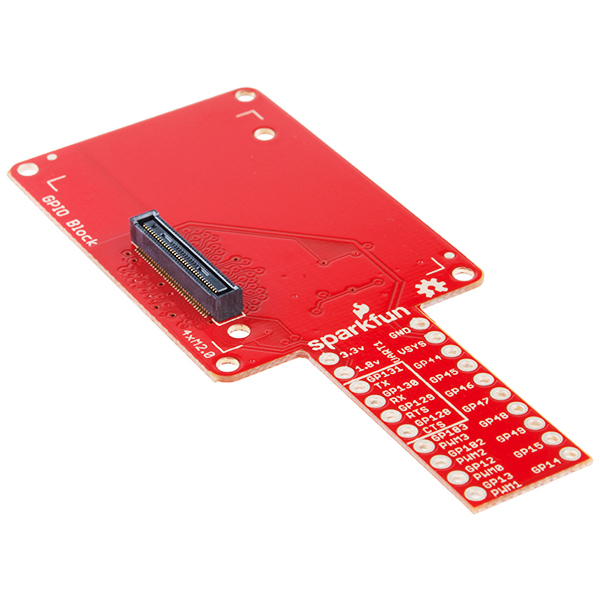 this kit doesn't come with a USB OTG connector...as required by almost ALL sparkfun tutorials. How can this be a starter kit without an OTG connector? this kit really needs the Edison hardware kit. For $100+, you'd think they could toss in the $2.95 hardware to keep the connectors from inadvertently tearing off. A great way to get started. Most of the "getting started" tutorials focus on the base block or dev board and omit setup and OS Upgrade with the Console block so I've written up a guide on my own block. The pack is easy to get started with and the battery allows all sorts of possibilities for your first project. I was able to set up the Edison and connect through wifi + ssh and everything was in my control after that. If it wasn't for the community help (in reviews and elsewhere) I would not have been able to upgrade the firmware or update to the latest image. Between the official tutorials from Sparkfun + Intel and what this Pack includes... it is not "starter" friendly. I am enjoying the product but be aware that you will have to do a lot of work arounds without the base block such as Linux packages / ssh file transferring / git in order to get files onto the Edison. You won't be able to directly download software onto the Edison through USB with just this pack.